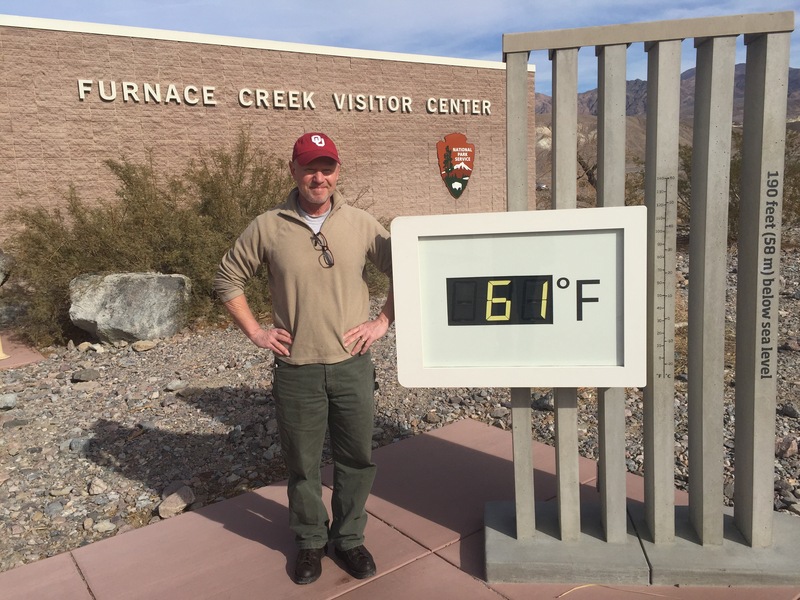 Our plan after Thanksgiving was to go to Sequoia, but the thermometer took a deep dive there right after the holiday, so we went to the desert instead. 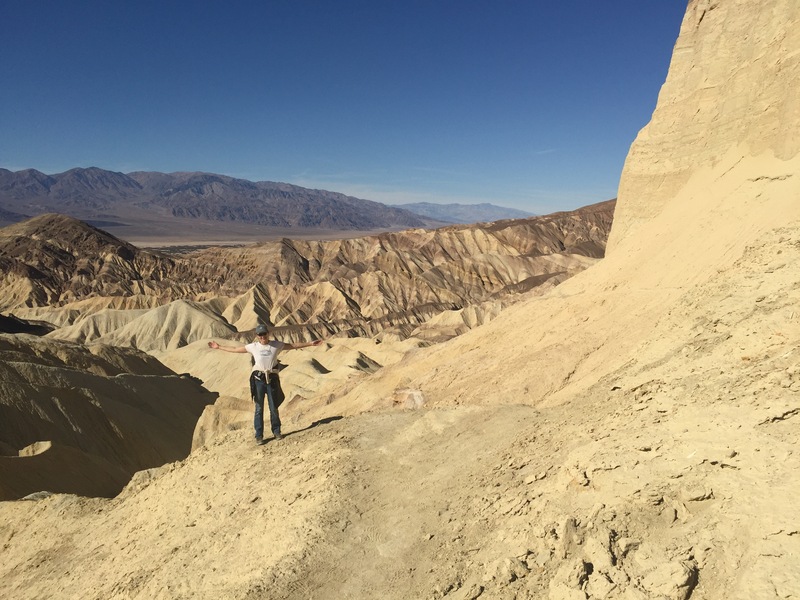 Sometimes (all the time), you should just do exactly what the ranger tells you when you ask them for a two day itinerary for first-timers. No, the above is not the Dead Sea Scrolls. 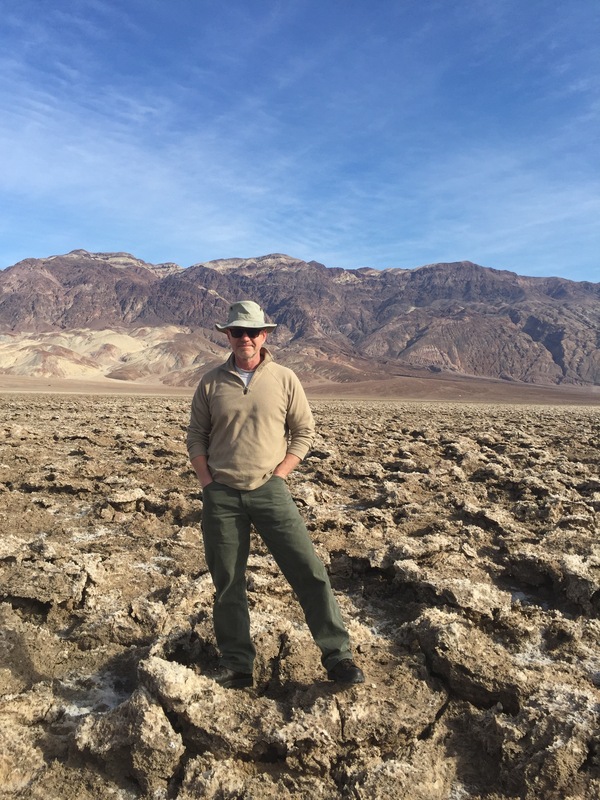 It’s the Winter/Spring edition of the Death Valley National Park Herald Times Tribune! But with some important notations: first and foremost, scratched out the notice of Artist Drive being closed for repairs. Not yet! 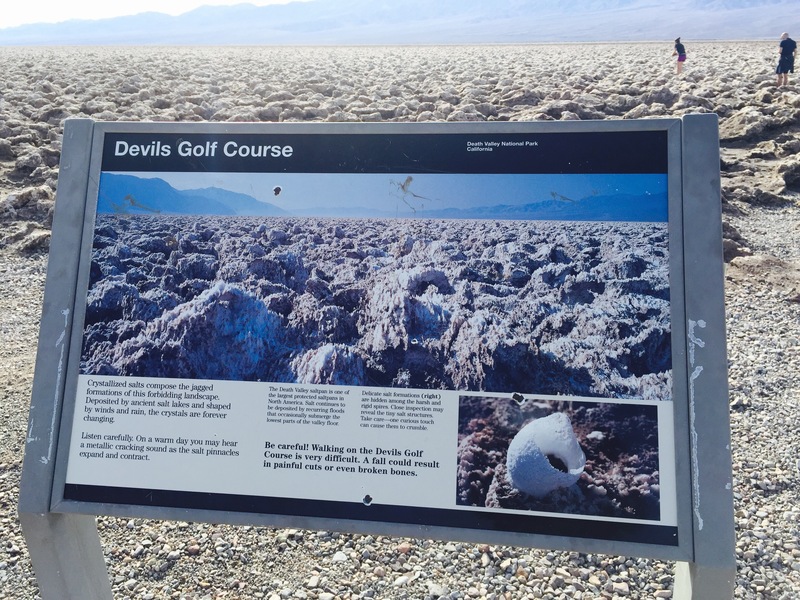 First, we were to go to Devils Golf Course. Definitely not a golf course of any kind. 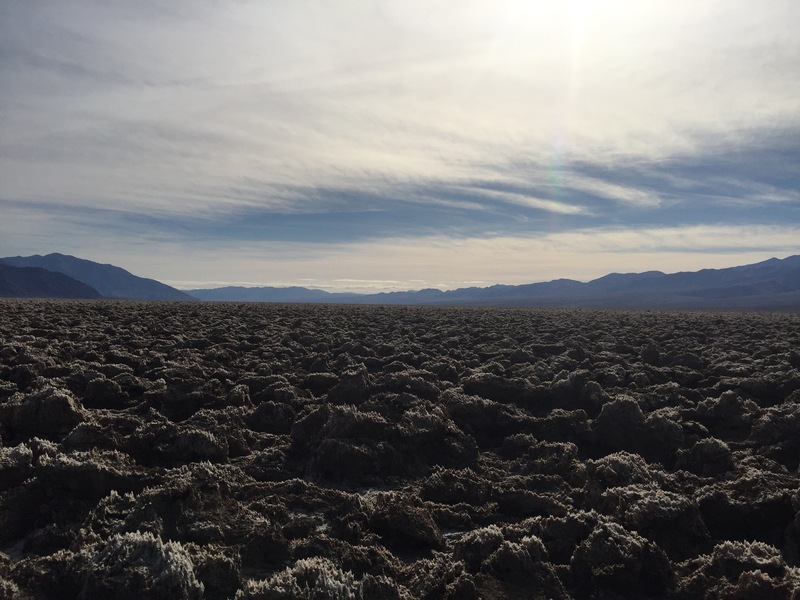 An expansive salty flat to explore – with care! Stop #2? 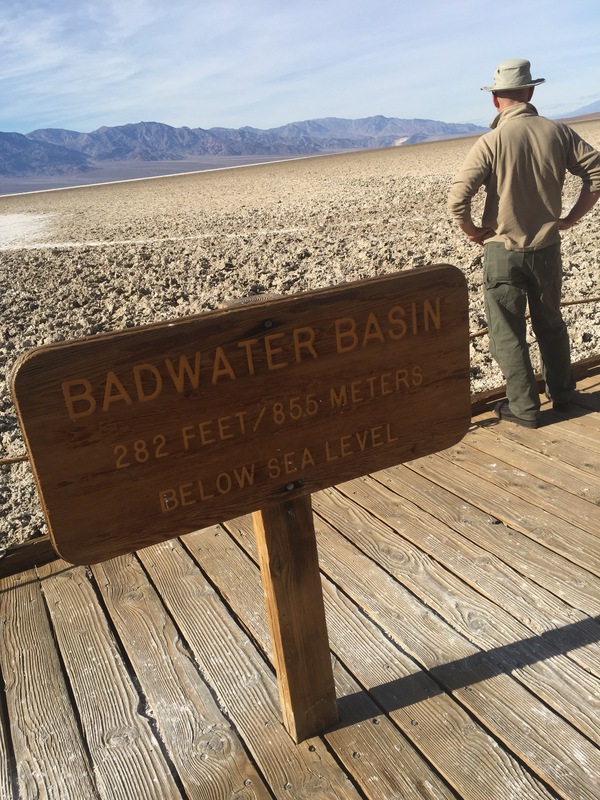 Just a few miles south to Badwater Basin, the lowest point in North America. They have some fun signage to make their point. 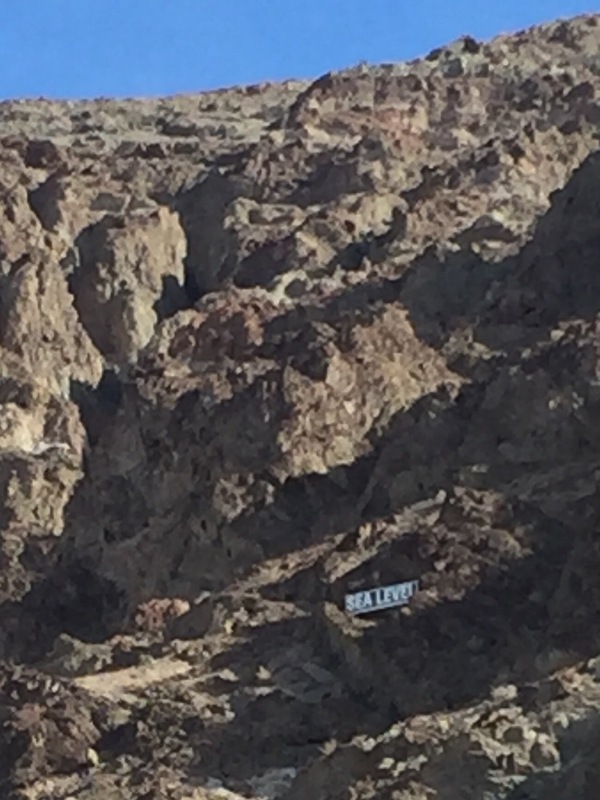 This sign – high on a cliff above the valley floor – gives you a good idea of just how low you really are. This picture really gives you a sense of the VALLEY, doesn’t it? The Pantamint Mountain Range is in the distance. 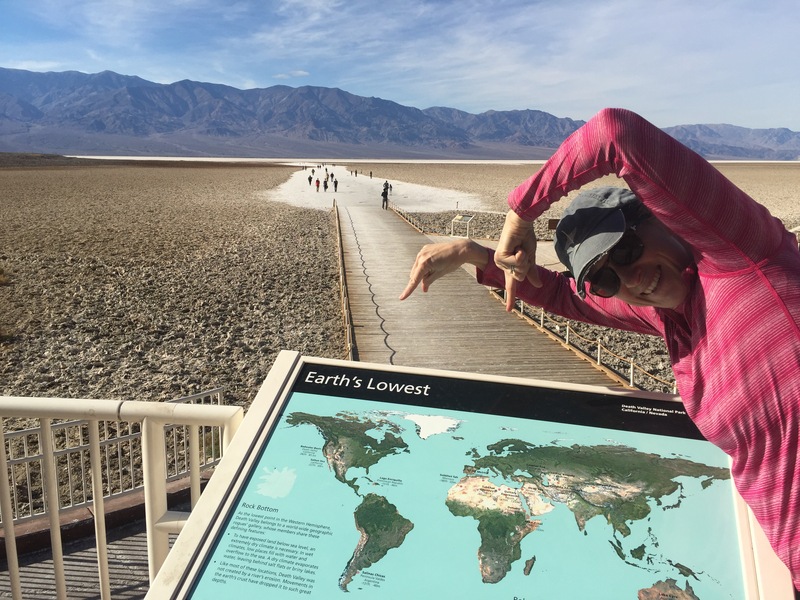 Stop #3 was supposed to be Artists Drive, but we had just enough time to make it to the 2:30 pm Ranger Talk at the Harmony Borax Works Interpretive Trail. So what do you think we did? 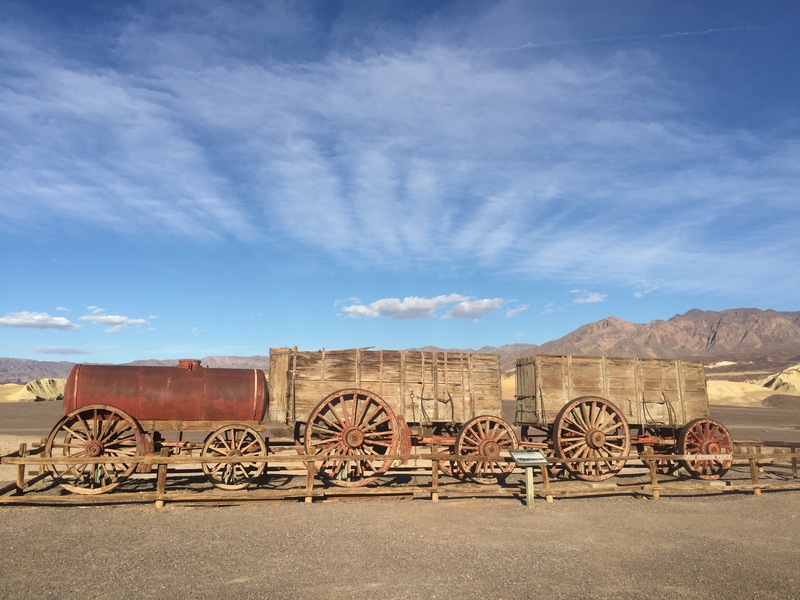 Above are the wagons of an actual “20 mule train” that was used in the 1880s to tote borax out of the Valley – 165 miles to the Mojave railroad depot. The two wagons carried the borax; the tank on the left carried the 1,000 gallons of water for the thirsty mules! 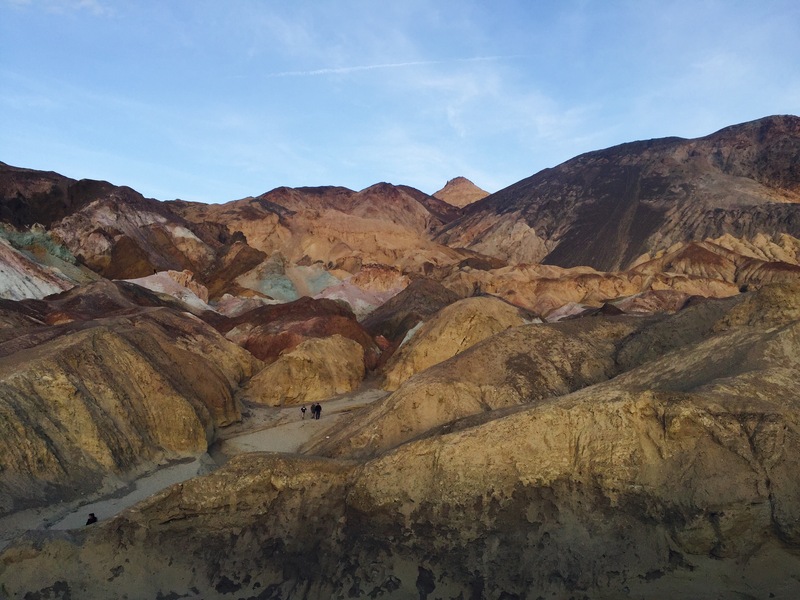 We headed back to Artists Drive – a sort of semi-circular loop through a lovely portion of the valley, the highlight of which is Artists Pallette, a rock face showing gorgeous colors. Sunset was a nice time to go. 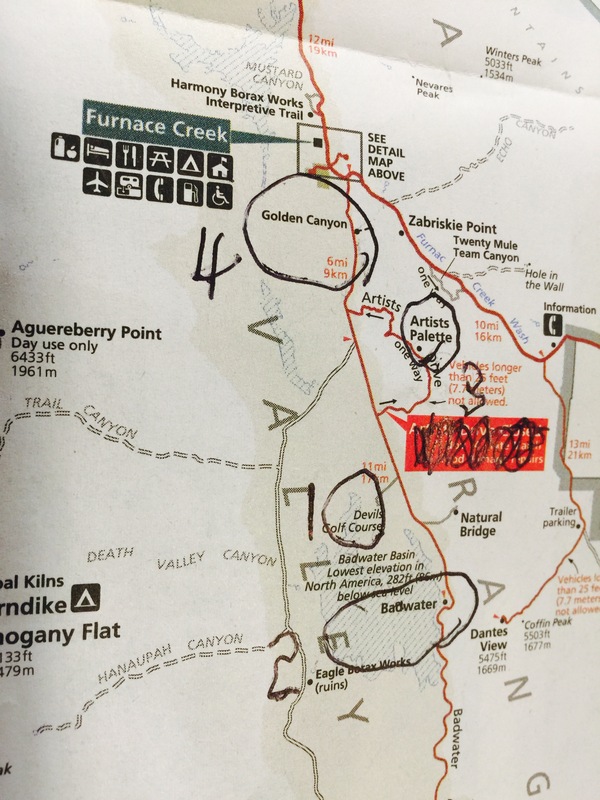 Our ranger had recommended we finish the day with the 5 mile loop hike at Golden Canyon, but we decided to save it till the morning – and we were glad we did. 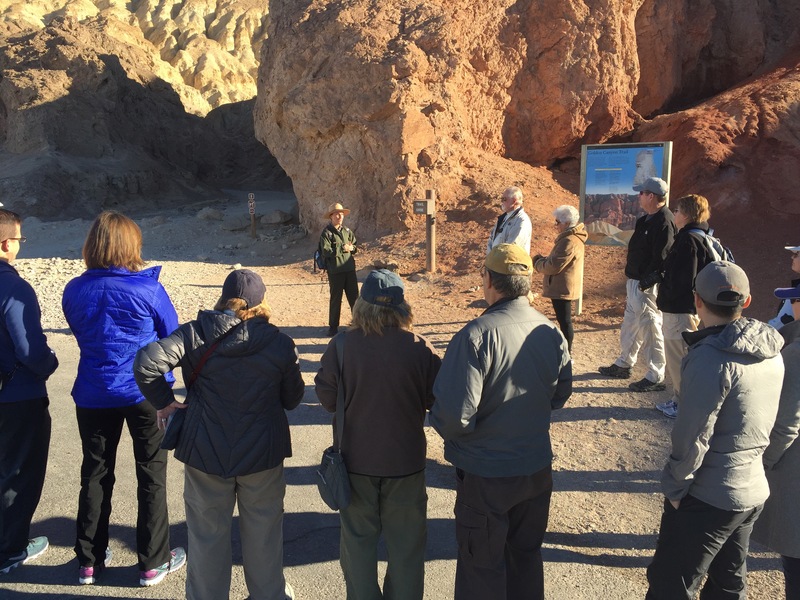 Not only because it was a fairly intense hike – with some fun side trails – but we were able to kick it off with a 9am Ranger Talk. Both talks we went to were lead by Rangers new to the park, but they were both outstanding. Good hires! Any more questions about why this is called Golden Canyon? 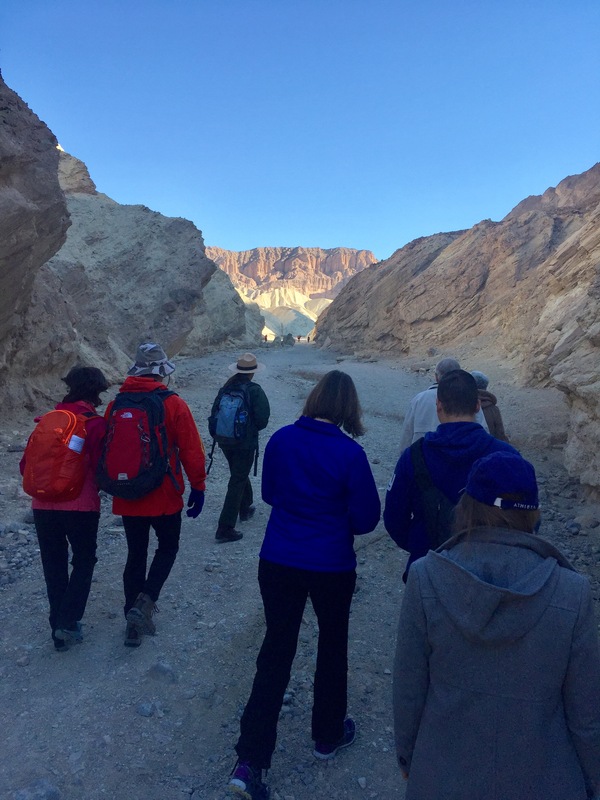 The Canyon talk/walk went about a mile in, focusing on the geology, of course, and in particular the impact water and floods have had on its formation. 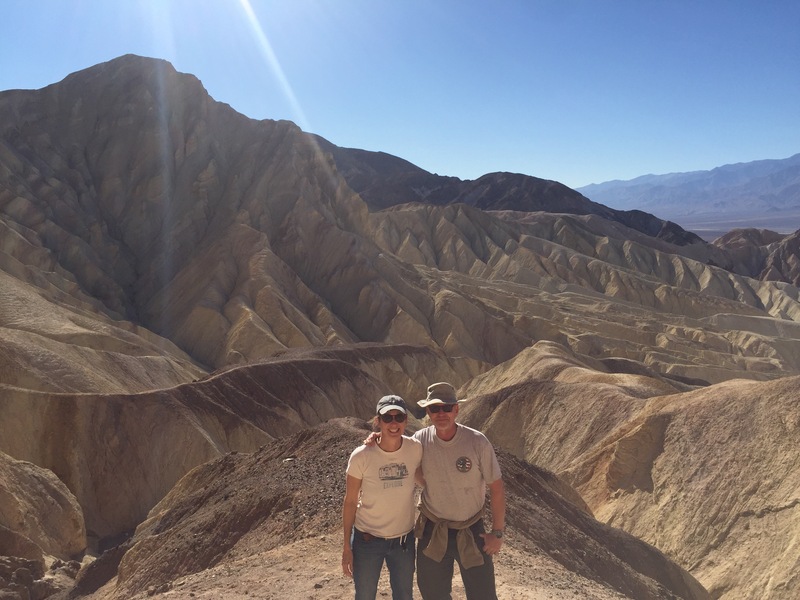 After, we peeled off toward Red Cathedral, a stunning sculpted canyon that requires some scrambling to get in. 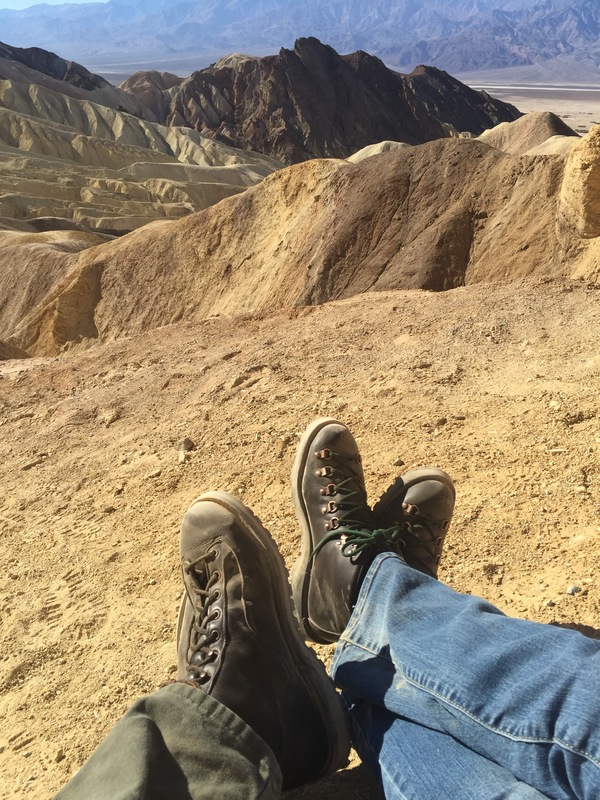 We met some folks there who took our picture – and then we played around pretending we were doing a (dusty) Danner Boot ad. We continued on through Gower Gulch and the Badlands Loop. I’d show you some pics, but honestly it all started to look the same. Maybe I was a little dehydrated? You know how it is when you are like, “Ugh, where’s the car?” That moment is below. 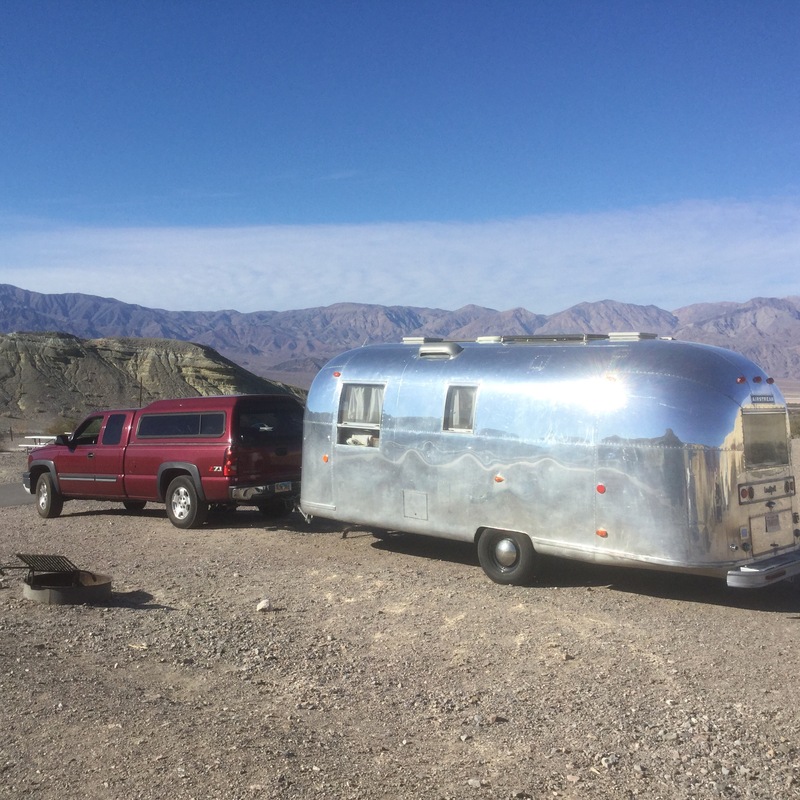 We stayed in Texas Springs campground – an NPS campground that doesn’t allow generators – right in the middle of all these sights. It had been quite crowded for the Thanksgiving holiday we understand, but was no more than a quarter full when we were there. We met some lovely people from Washington state who shared their home-cured salmon with us! And the nighttime skies around our campfire! Anytime you can see the Milky Way is pretty great. ← Vermont Days off – the finale! Sounds like a neat drive. This sounds like a place we should stop by on a road trip towards Arizona! Nice post! Looks amazing! But I heard that the tsunami is coming so it’s time to come home. Oh no! I’ll be right there!